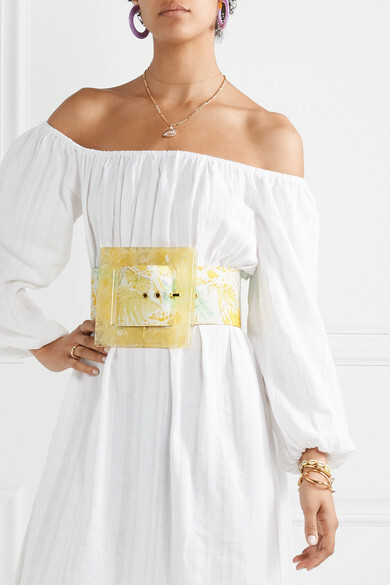 Cult Gaia says it creates "Objets d'Art that make you look twice," and this ultra wide 'Simone' belt is a testament to that. 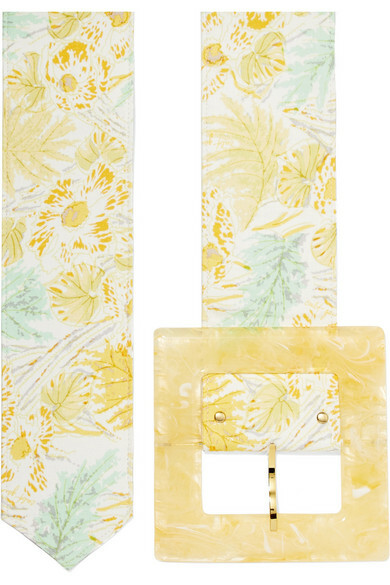 It's made from leather-backed linen that's decorated with a fresh floral print and has an oversized marbled acrylic buckle. Use it to cinch the waist of floaty summer dresses or duster jackets. Shown here with: Mara Hoffman Dress, Cult Gaia Earrings, Alighieri Necklace, WALD Berlin Necklace, Sophie Buhai Cuff, Dinosaur Designs Bracelet.